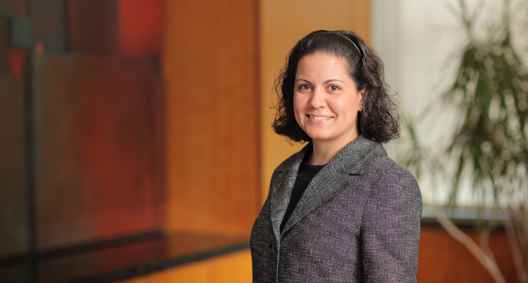 Melissa Carvalho focuses her practice on commercial litigation in New York state and federal courts. Her experience has led to a developed understanding of the nuances of litigation, enabling Melissa to effectively represent clients, both at trial as well as in arbitration, mediation, and during general negotiations and settlements. With particular skill in alternative dispute resolution, Melissa is sensitive to her clients' needs and resolves matters effectively and efficiently. As a fluent Portuguese speaker, she has also been involved in a number of litigations, arbitrations and investigations involving the country of Brazil. Melissa is a member of the New York office's Women's Steering Committee and Mentor Committee. Involved in various litigations and investigations conducted in connection with the firm's representation of Trustee Irving H. Picard for the SIPA liquidation of Bernard L. Madoff Investment Securities LLC. Obtained victory for company in AAA arbitration against investment firm for wrongdoing including fraudulent misrepresentations and breach of fiduciary duties. Involved in various litigations and investigations conducted in connection with the firm's representation of the court-appointed SIPA trustee for the liquidation of Bernard L. Madoff Investment Securities LLC. Represented commercial lender in a litigation brought by a borrower and obtained complete dismissal of the action at the outset of the litigation. Obtained multiple victories for private fund engaged in providing asset-based commercial loans at both the trial and appellate level against various applications for injunctive relief seeking to enjoin foreclosure. Counseled Fortune 500 companies during internal and governmental investigations concerning alleged employment, accounting, securities and Foreign Corrupt Practices Act violations, and reviewed and prepared compliance materials. Represented a hedge fund and commodity pool operator in connection with an investigation by the CFTC alleging cornering of the market in Treasury futures and false statements made to market regulators, and settled the investigation for a books and record violation with no charges brought against the client. Represented condominium owners with toxic conditions in their unit as a result of breach of duties by building Board and management. Substantial damages were awarded by the jury at the trial. Involved with a number of pro bono organizations, including the Safe Passage Project, Legal Network for Gender Equity (colloquially known as TIME’S UP), New York Legal Assistance Group, Legal Aid Society and Legal Services NYC, which provide legal assistance for low-income individuals.